New York, 2 October 2018 — The United Nations Alliance of Civilizations (UNAOC) held a Ministerial Meeting of its Group of Friends themed, “Building Bridges: Using Soft Power to Promote a Culture of Peace” at the United Nations (UN) Headquarters in New York on 28 September. The meeting took place on the margins of the high-level week of the UN General Assembly. 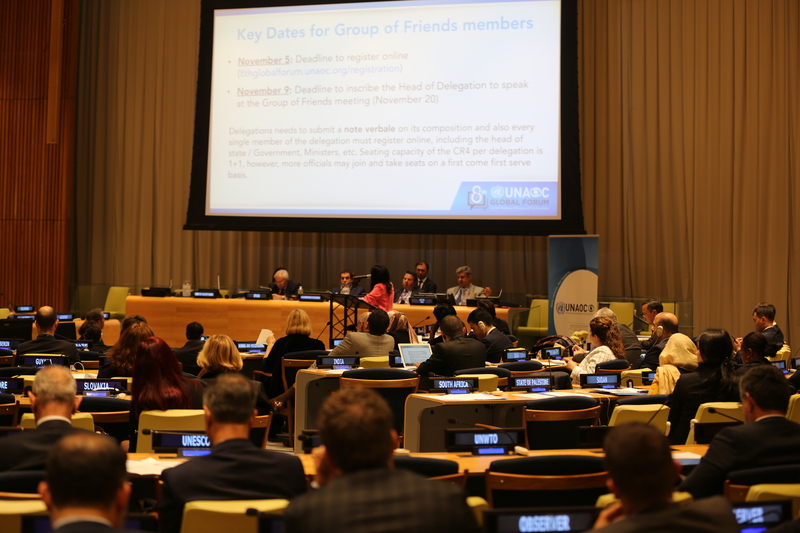 UNAOC used the opportunity to present its upcoming 8th Global Forum, which will take place on 19-20 November 2018 at the UN Headquarters in New York. The overarching theme of the 8th UNAOC Global Forum is “#Commit2Dialogue: Partnerships for Prevention and Sustaining Peace.” The theme is in line with one of the key priorities of Mr. António Guterres, the UN Secretary-General, who will participate in the Forum during its two days. The Forum will bring together more than 1,000 participants to share their expertise and explore innovative ways of promoting inclusive approaches to conflict prevention as a pathway for sustaining peace. The 8th UNAOC Global Forum will place emphasis on youth, with a special Youth Event and a PLURAL+ Youth Video Festival Awards Ceremony on migration, diversity, social inclusion, and the prevention of xenophobia. As chair of the session, the High Representative of UNAOC, Mr. Nassir Abdulaziz Al-Nasser said. “Perhaps one of the greatest soft power tools in our toolkit is the UNAOC Global Forums. 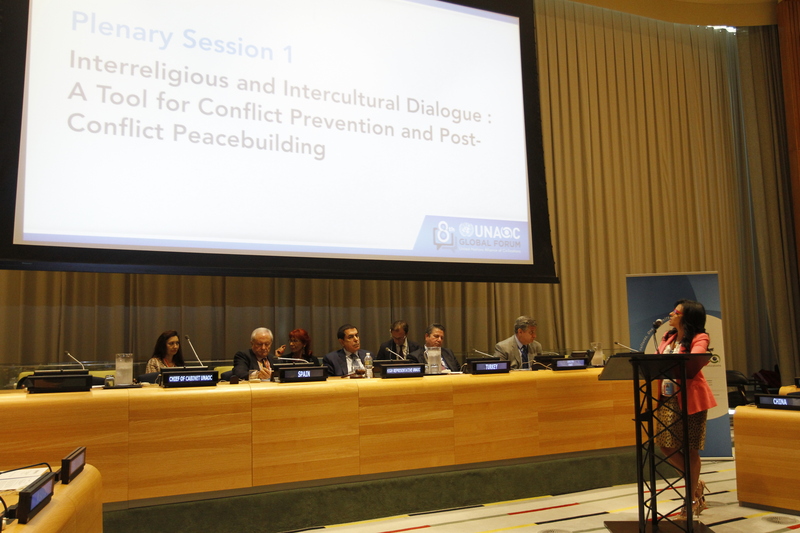 They have proven to be the premier platform to advance the global conversation on building dialogue and understanding across cultures and religions,” stated Al-Nasser in his opening remarks. In his message to the Group of Friends which was read on his behalf by Mr. Al-Nasser, the UN Secretary-General stressed the role of UNAOC. “The Alliance’s mission is especially important in addressing racism, xenophobia, anti-Semitism, anti-Muslim hatred and other forms of intolerance, which are increasing in many places, feeding each other and fomenting extremism […] I look forward to joining you in New York in November for the Alliance’s 8th Global Forum,” said Mr. Guterres. To watch the entire meeting click here. Forum dedicated website: https://8thglobalforum.unaoc.org/.